The Kid’s Fair Play FUNd’s mission is to provide opportunities for all kids in Shelburne County to participate in Sport, Recreational, and Cultural activities. The program is provided assistance by Canadian Tire Jumpstart. Participation contributes to the healthy development of children and youth assisting them to achieve personal excellence. Knowledge and skills learned as children are carried with them as they become adults to be used throughout their lifetime. The Kids’ Fair Play FUNd is a Fund administered by the Municipality of Shelburne in cooperation with the other Municipal units in the County as well as businesses, community groups, and individuals to assist the children and youth of Shelburne County. Maximum funding amount per child/youth is $200 within a 12 month period. Applications to assist children and youth under 19 years of age are received at any time throughthout the year and reviewed for approval 4 times per year on or shortly after the following dates: December 15, March 15, June 15 and September 15. An application form can be downloaded below or can be requested from any of the Recreation Departments in Shelburne County. 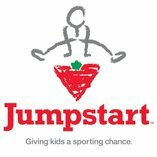 Canadian Tire Jumpstart - Provides funding of up to $300 per child per season and $600 per year for sport registration and/or equipment. Proof of family income is required. Visit www.jumpstart.canadiantire.ca or contact your local Recreation Department for more information. KidSport - Provides funding of up to $300/year/child for sport registration/equipment. It must be for a sport registered with Sport Nova Scotia and proof of family income is required. Visit www.sportnovascotia.ca or contact your local Recreation Department for more information. Supporting the Kids’ Play Fair FUNd will help kids overcome obstacles to participation. Financial donations can be made to the FUNd and receipts will be provided for income tax purposes.